Product information "Shibumi Sen Flexible Shoehorn - Congo Wood / Zebu Horn"
The Talaricos have been hand-crafting the finest umbrellas for four generations now in their workshop in Naples. Among their customers was Italian monarchy as well as religious leaders; we value Mario Talarico’s high quality standards and his exquisit craftmanship very much. The quality of the raw materials and the workmanship ensure that this umbrella will last. The individual grain pattern gives each piece a unique quality and to watch the slow patination of the handle is a joy. A span of 95cm and a relatively strongly curved canopy are not just perfectly balanced and aesthetically pleasing but also provide substantial shelter from the elements. 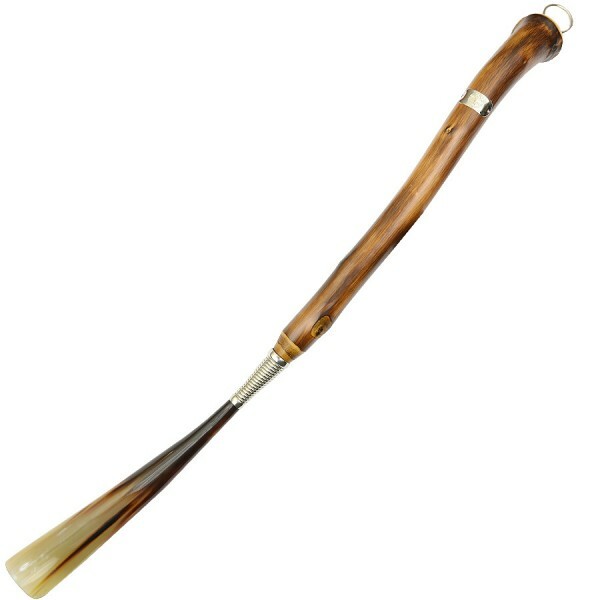 Related links to "Shibumi Sen Flexible Shoehorn - Congo Wood / Zebu Horn"